Around the Western world, Fatah is portrayed as a moderate Palestinian group while Hamas is regarded as a terror organization. 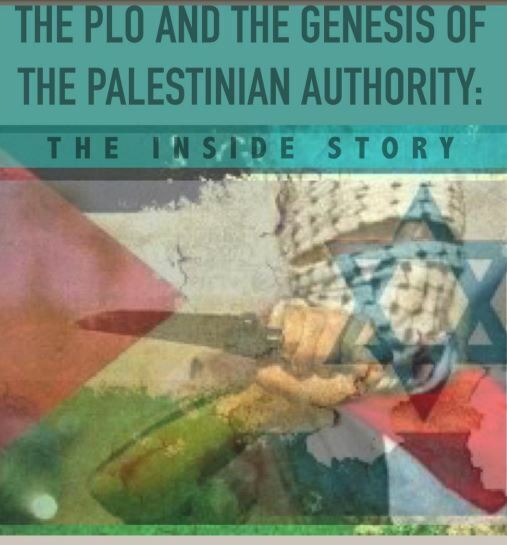 However, David Bedein, the head of the Center for Near East Policy Research, recently published a book titled “The PLO and the Genesis of the Palestinian Authority: The Inside Story,” which argues that Fatah in fact cooperated with the Hamas terror group when Yasser Arafat was in power and nothing much has changed since. “When Israeli Prime Minister Yitzhak Rabin shook hands with Yasser Arafat, the head of the Palestine Liberation Organization, on the White House lawn, most people in Israel and abroad expected that Arafat would form a new Arab entity that could restrain Hamas and the Islamic Jihad,” Bedein wrote in his book. However, in reality, Bedein stressed that Fatah licensed weapons to Hamas and later on, Hamas would use these weapons to wage terror attacks. “Meanwhile, all of Arafat’s military forces acknowledged that they have recruited radical Islamists to join forces with them,” Bedein wrote. He noted that between 1994 and 1997, there were 37 documented cases of Fatah offering asylum to Hamas and Islamic Jihad terrorists fleeing from Israel. For example, Muhammad Deif, who engineered and oversaw the kidnapping and murder of 19-year-old Israeli-American Nachshon Wachsman, was offered shelter by Fatah. In addition, Fatah under Arafat appointed Hamas muftis, who delivered sermons calling for jihad in Nablus and Jerusalem. After Arafat walked away from Camp David in 2000, the Clinton’s and many others recognized that Arafat missed a historic opportunity in favor of supporting terrorism but nevertheless many of these same people support Mahmoud Abbas, claiming he is a moderate. But Bedein hinted that Abbas is no better. According to Bedein, Fatah under Abbas played an important role in helping Hamas to take over the Gaza Strip. In an interview with Islam Online in 2005, Fatah’s Nabil Shaath boasted that the United Arab Emirates granted them $100 million to transform an evacuated Israeli settlement in the Gaza Strip into a housing project to honor suicide bombers and their children. According to Bedein, Fatah does not sing songs about wanting to liberate the West Bank. In a Fatah Army base in Jericho, Bedein stressed that they talk about taking back what was taken away in 1948. In this, he claimed that Fatah is no different from Hamas. In fact, Bedein wrote in his book that in the PLO Orient House, the Israeli coastal city of Netanya is defined as an “illegal settlement.” According to the PLO, Netanya is partially built on top of the once Arab village of Um Khalid. Bedein implied that this means that the Fatah-controlled Palestinian Authority does not recognize Israel’s right to exist under any borders. Truly excellent article! I will share widely.